I’m listening in to Edward Snowden at SXSW; Follow along on Twitter on #AskSnowden, also watch @ACLU and @ACLUlive. I’m watching live on the Texas Tribune website. Christopher Soghoian is a Washington, DC based privacy researcher and activist. He first gained notoriety in 2006 as the creator of a website that generated fake airline boarding passes. Since that incident, he has continued to engage in high-profile activism related to privacy and computer security. He is currently the principal technologist and a senior policy analyst with the speech, privacy and technology project at the American Civil Liberties Union. Between 2009 and 2010, he worked for the US Federal Trade Commission as the first ever in-house technical advisor to the Division of Privacy and Identity Protection. While at the FTC, he assisted with investigations of Facebook, Twitter, MySpace and Netflix. Snowden makes the point that the government has never said any one of these stories has risked a human life. Did contractors cause NSA surveillance? If the NSA gets money, it’s going to spend it and they’re going to spend it on contractors. The problem with that is that contractors serve their clients’ interest, not the public interest. Is it possible to reap the social benefits of big data, without opening ourselves up to surveillance? “The bottom line is that data should not be collected without people’s knowledge and consent. If data is being clandestinely acquired” that’s wrong. This should be part of a public debate. Isn’t just a matter of time until the government breaks all encryption? The NSA has no idea of what documents were provided to the journalists what they have what they don’t have, because encryption works. “There is no way in, there is no way around it. Hacking technologies don’t scale. Encryption makes bulk surviellance too expensive. The goal here is to make it so that they can’t spy on innocent people because they can. Right now so many of our communication is just there for the taking. “Encryption technology, even if imperfect,” raises the cost and makes bulk surviellance impossible. Full-disk encryption. Network encryption (SSL). You can install a couple of browser plugins, among other techniques; Snowden also plugs Tor. “You’ll still be vulnerable to targeted surveillance.. They’re still going to get you. But mass surveillance” will be near-impossible. You need to pay something so a company has a sustainable business model. You come back to encryption again and again as something that still works? Should people still be confident that the basic encryption that we use protects us from surveillance, or at least mass surveillance? Soghoian says, again and again, that SILICON VALLEY IS PISSED. “The fact that these disclosures have so angered the encyption community” that, that bodes well for the future. Do you think the U.S. surviellance systems could encourage other countries to do the same? “If we want the rest of the world to keep trusting U.S.” companies, tech giants need to win back the trust of their users. Why is it less bad for big corporations to get access to our information, rather than the government? “We don’t know” a good answer to that. What would Snowden do to design an information agency that could correctly perform oversight on clandestine agencies? Snowden calls the FISA court a “secret, rubber-stamped court.” “A secret court shouldn’t be the Constitution when only NSA’s lawyer are allowed” to be a part of those conversations. Snowden says that the resources that go into bulk collection would be better used on targeted efforts. 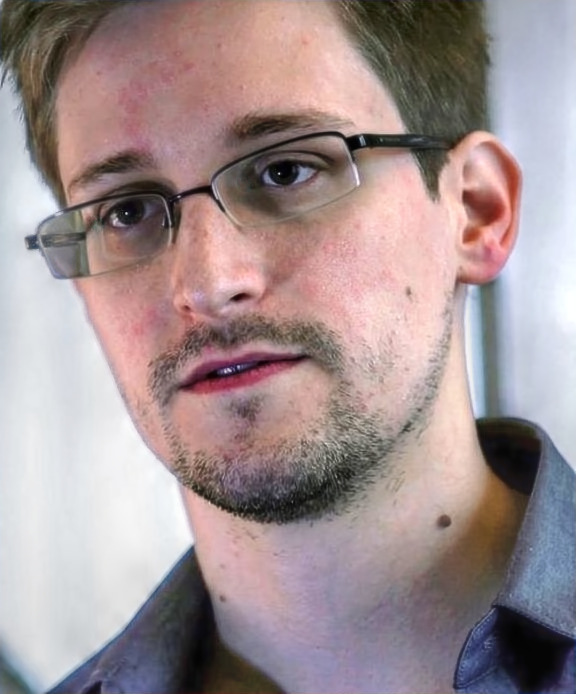 Wizner: General Micheal Hayden says Snowden Disclosures have made a less safe internet. “More than anything there have been two officials that have harmed our internet security and our national security because so much of our companies economic success is ” based on encryption. Snowden says there is a need for more usable tools. It’s harder for incumbents, Google and Yahoo, to deliver encrypted services because advertising is built into their services. Snowden talking about making mass surveillance more expensive. Says encryption is key. Talks about two methods of encryption. Of which end-t0-end encryption is the most expensive — forces attackers to go for the endpoints. The NSA can’t break into every computer in the world. The practice Conflicts with Google’s and others’ business model. Those companies want to sit between you and everyone you do business with — “they want to be in that connection with you and that makes it difficult”. Irony: ACLU is using Google Hangouts to talk to Snowden. Today’s tools are made by geeks, for geeks. Most people use insecure tools because they’re the easiest to use tools. Glenn Greenwald, for instance, found it hard to figure out PGP. Snowden says the development community can craft solutions to make sure we’re safe. Says many of the communication services aren’t as secure as they could be. This has enabled global passive surveillance by the U.S. and other governments. Member of Congress wrote to the organizers of SXSW discouraging them from bringing on Mr. Snowden.